SOMI Dental Group (South Miami) - Book Appointment Online! SOMI DENTAL takes pride in promoting HEALTHY TEETH AND GUMS FOR A LIFETIME! Dr. Lopez's philosophy on the practice of dentistry is centered around enhancing the lives of his patients by achieving the beautiful and functional smile they desire! We deliver quality-oriented patient care and offer the use of the most advanced, conservative and proven techniques! We care a great deal about each patient encounter and take pride in making you feel comfortable when you come to see us for your dental needs. I normally hate going to the dentist but the experience here has changed my perspective. Everyone was super sweet and made it such an enjoyable experience. The office is super modern and the staff is amazing. 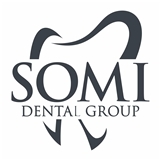 I highly recommend Somi dental group.